Okay, I can do this! 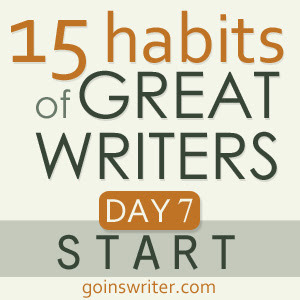 Starting with ugly on Day 7 in the Great Writers series is ironic in light of the argument I had with someone today. With today's challenge it is imperative that I start with myself where ugly resides in splendor. I was told today that I have a hard time admitting when I'm wrong but I think my close friends and blog followers would beg to differ. Those who know me well are aware of my transparency regarding my faults, flaws, idiosyncrasies, and ugliness. I'm always in the process of making myself better so that I CAN grow into something beautiful. Today I start with me: the good, the bad, and the uh-uh-uh-ugly. Because I've been told I am. I have a difficult time saying sorry or quickly apologizing. But in my defense, it's only because I'm not understanding where I went wrong. I wait until I CAN make a genuine apology but for others it's too late. I've been working on apologizing. I NEVER offer ANYONE a piece of gum or mint when I pull out a pack and pop one in my mouth. EVER. I don't know why I do this so I've been working on it. Apparently, this is an indicator of a person's character and I'm sorely lacking in the generosity department. I wore a very short mini-skirt to a Catholic church. I should have known better since I was raised in a Catholic family but the rebellious part of me shirked convention. Lo and behold there was a huge sign in the foyer that depicted what was appropriate versus inappropriate attire. First diagram was skirt length. I admit, I was rebelling. Ugly, right? I am a bad driver. Not because of my poor eyesight but because I'm Asian and I'm female. (I'm not making any racial slurs but merely admitting my own flaws.) I admit it. I speed. I tailgate. I get impatient. I get spacey and don't pay attention. I get lost, oh, so very lost even in my own neighborhood. I am unhappy at my job. Utterly and completely miserable that every day I am on the verge of crying. I'm taking steps to change that situation but it won't happen overnight. In the meantime, I fake it 'til I make it. I put on a smile, force a hearty laugh at the right time, and play the game. The words "Hey, it pays the bills." is like a death knell. To me it represents complacency and precious time squandered. I turn to those whom I hoped would listen with empathy but I'm told it's gotten old. So I keep my mouth shut and suffer in silence. When I am angry I fashion my words into a flogging device bent on destruction. I hit below the belt. Like really low. Today I was told it was ghetto and gutter low. Yup, that's ugly! I have a short fuse especially in the face of daily criticism. Instead of communicating I snap worse than a rabid wolfhound which I know is a hideous flaw in my character. This is a good starting point where I can "find stuff to improve and slowly move it towards beautiful." Because in the midst of my ugliness I KNOW that beauty is present and ready to emerge even if it's not evident to others. The key to happiness is surrounding myself with people who accept that I am an imperfect human being, bestowing grace and mercy when I fail. I believe by creating a beautiful and better me it will enhance my writing; for through my experiences my words will take shape into something I can share with others. These daily challenges have resurrected my hunger for writing and forced me to reflect on my true self. This is where it begins and if I am diligent in my pursuit of writing I can take it to where others will benefit from my lessons.